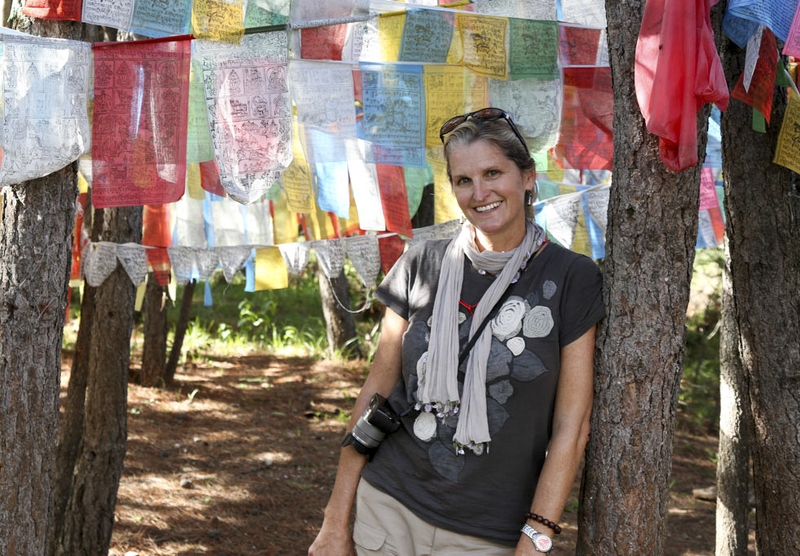 Above: Jeannie Ralston amidst prayer flags at a Buddhist Stupa in Shangrila in the Yunnan Province, China. Jeannie Ralston is committed to ageing boldly, encouraging sympathetic and irreverent, like-minded women everywhere to do the same. 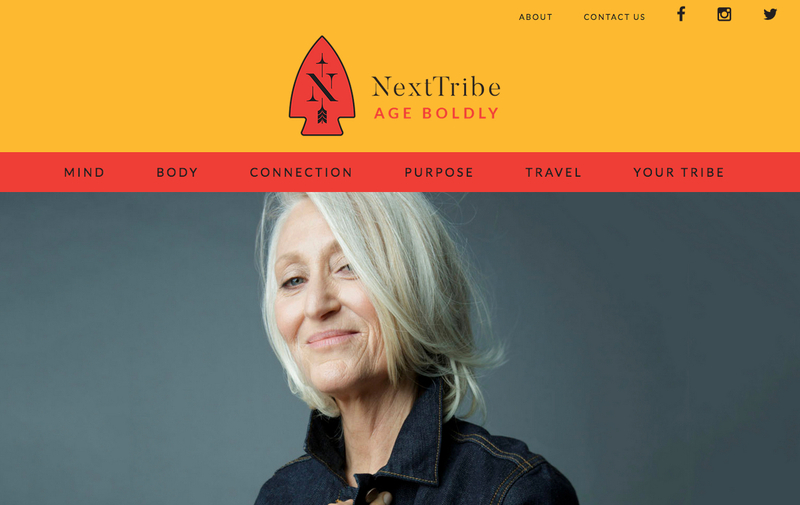 The Austin, Texas – based journalist and author has recently launched NextTribe.com, a lifestyle website aimed at women who are forty-five and older. 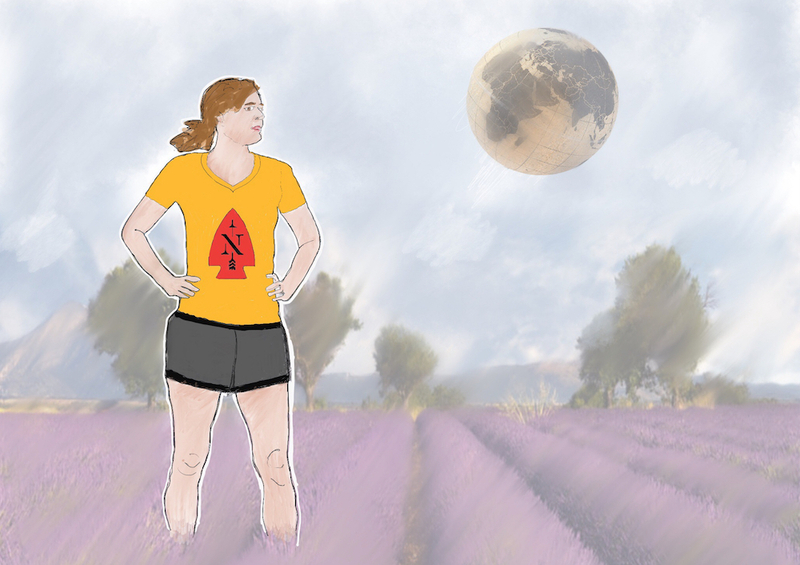 An adventurer at heart, she has an uncanny skill for taking leaps into the unknown — from starting a lavender farm in rural Texas to homeschooling her children, world travel included — and converting them into life lessons for us all. In our recent chat with Jeannie, we basked in her warm and infectious spirit, absorbed her life’s lessons and accepted her invitation to join the tribe of women ageing boldly. Above: London stylist Gillean McLeod launched her modeling career when she was over fifty. She is one of NextTribe’s Pushers, inspiring women who are pushing themselves in new directions and passions. Fabulous Fabsters: If NextTribe.com is your latest adventure, can you tell us a little about your two previous ones — the lavender farm and home schooling your children in order to travel around the world with them? Jeannie Ralston: After living in Manhattan for 10 years working at magazines like Life, Allure, Time and Vogue, I found myself newly married and living in Austin. 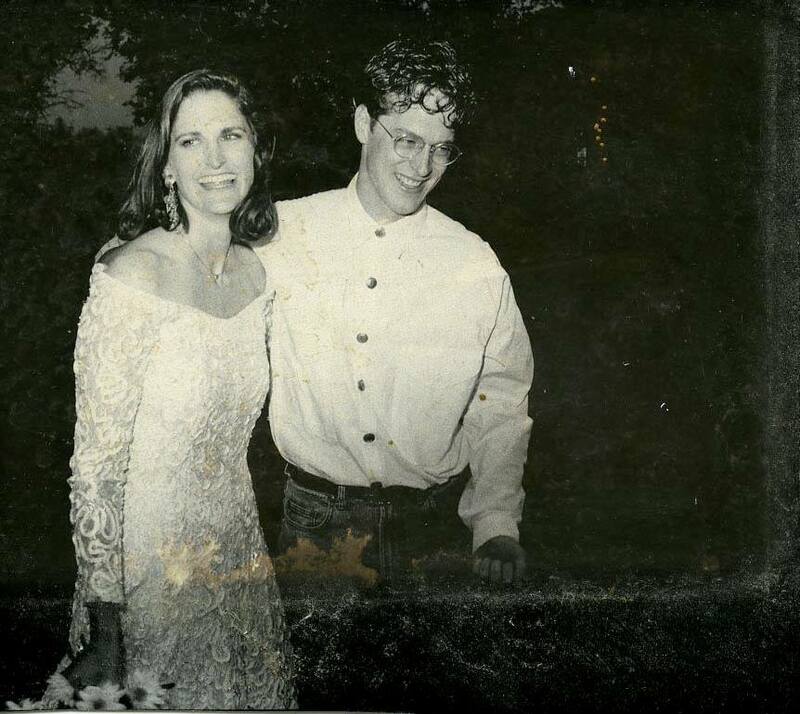 Just before our sons, Gus and Jeb who are now twenty and eighteen came along, my Texan husband decided he wanted more “elbow room” and convinced me to buy a 200-acre piece in of land — including a stone barn which required a gut renovation — in Blanco, a rural town an hour outside of Austin. It was the kind of project you would only do when you’re young and oblivious and have no idea of what you’re getting yourself into. Above L: Jeannie and her family in their lavender field. 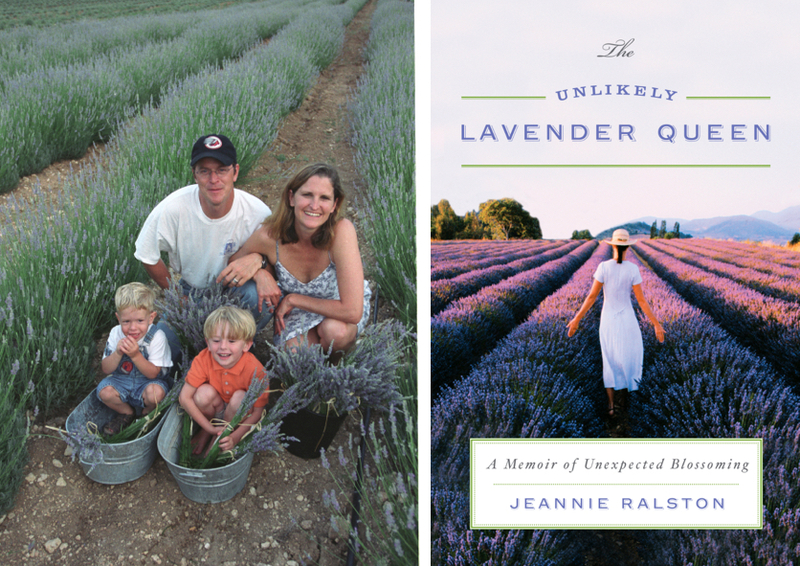 Above R: The cover of Jeannie’s book, The Unlikely Lavender Queen. FF: How did that go? JR: Moving to rural Texas was a difficult adjustment for me because I felt like we were withdrawing from society and urban life. It’s fair to say that I was pushed into this move. With the renovation finished and two small boys later, my husband Rob went on a National Geographic photo assignment to shoot a lavender harvest in France. Figuring that our Texan climate was similar to the conditions in France — hot with scorpions — he suggested that we try planting lavender as a commercial enterprise. We had just had our second son and Rob was traveling all the time for work, and I was resistant to the idea at first. I predicted that when the lavender bloomed, he would be away on assignment and I would be left to deal with the harvest. And, of course, that’s exactly what happened. But what I hadn’t planned on was that I would fall completely in love with the lavender. Imagine rows and rows of a thousand lavender plants growing just outside of our house — it was so beautiful. From the moment the first crop bloomed, I took over the project. I had so much fun with product development and marketing. And then other people in the area started growing lavender. In a few years we were able to organise a lavender festival and attracted seventeen thousand people one weekend. I started to really fall for this little town and loved being a part of the community — I even started a Montessori school. And then about five years after we planted the first crop in 1999, my restless husband was ready for the next adventure. So we sold our beautiful stone barn and held back a small piece of the property where we were planning to live. 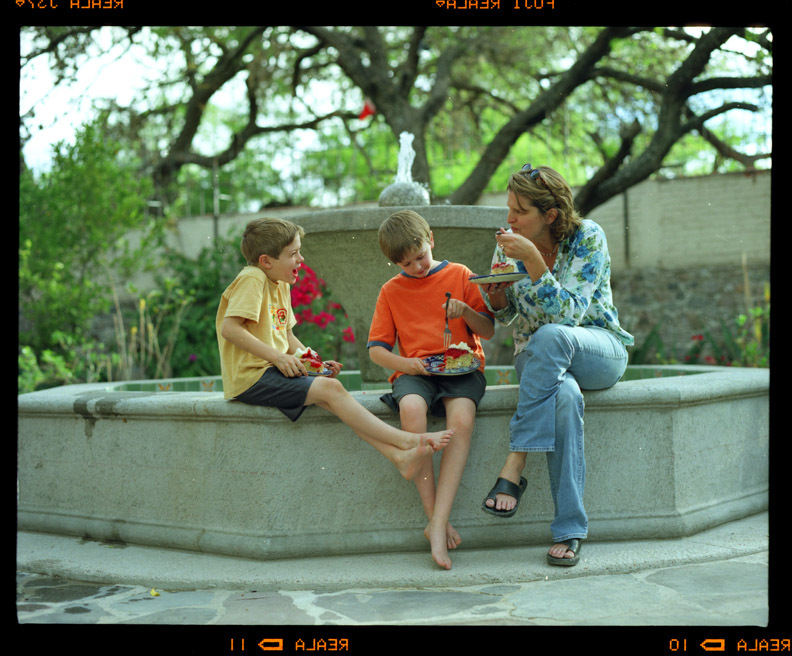 Above: Jeannie and the boys in the courtyard of their house San Miguel de Allende. NextTribe.com have organised a trip to celebrate the Day of the Dead this year in San Miguel. Why not join them? FF: But things didn’t exactly go according to plan, did they? JR: Yes, we went to Mexico for a holiday before deciding our next move. We fell in love with the town of San Miguel Allende though and bought a house there to live. We had always wanted the boys who were 8 and 6 at the time to be bilingual and this seemed like the perfect time and opportunity to travel around Mexico. FF: How long did you live in Mexico? JR: We lived in San Miguel Allende for 4 years. As the boys reached middle school age, it was time to move back to the States but we didn’t want to go back into mainstream American life — just yet. Once you live outside your home country for a few years, you acquire a different perspective and we wanted to take advantage of that opportunity. So we decided to keep traveling. 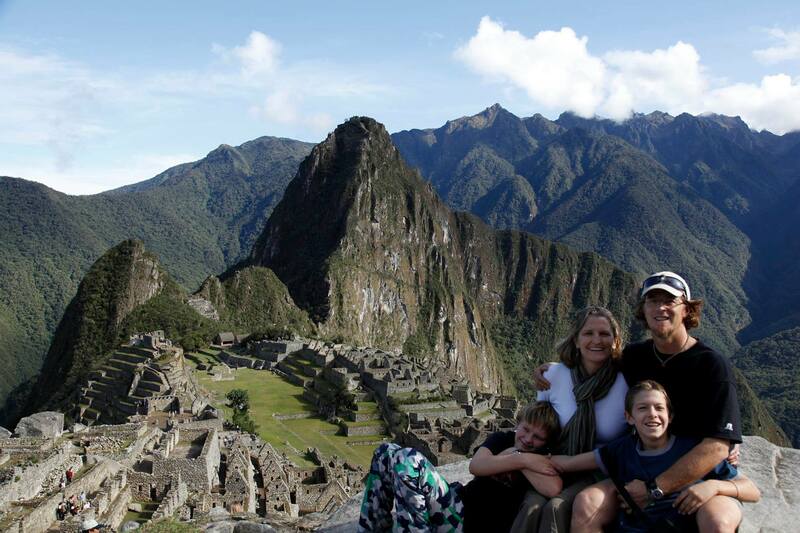 We home schooled the boys that year so that we could take two big trips — one to South America where we hiked the Inca Trail in Peru and the second one to Africa, where we were lucky enough to have the opportunity to visit hunter gatherer bushmen. We also took some little trips one to France for a month to practice our French, and then when we came back to the States, we explored our own history and took the boys on a Civil Rights tour. Above: Jeannie describes her personal challenges and joys of completing the 4-day, twenty six mile trek in the Andes to Machu Pichu in The Dead Woman and The Turn-Around Lady on the Inca Trail. 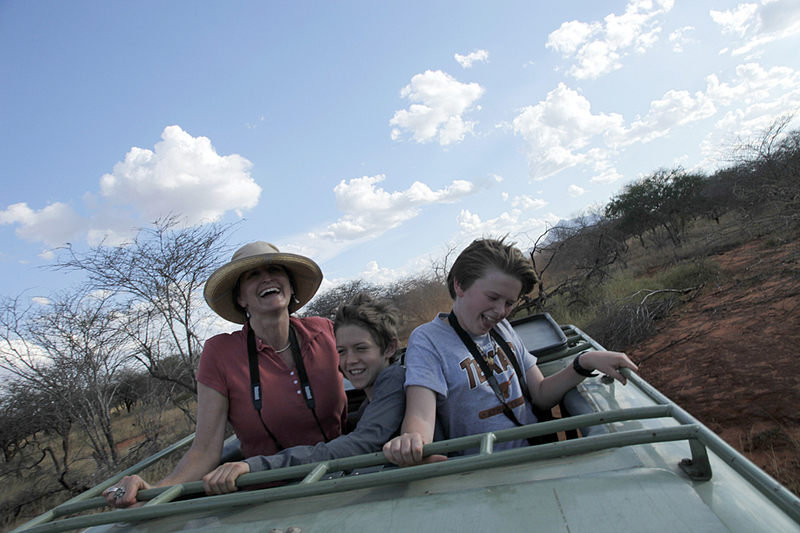 Above: Riding through a wildlife preserve in Kenya, Jeannie and the boys were helping a ranger count wildlife species. FF: And after this year of adventure, you settled back into mainstream life? JR: Well that was the original plan. But the boys who were now thirteen and eleven had other ideas. They had had fun the year before — they wanted to keep going. So that autumn, we studied ancient history at home while I set up a trip to visit the ancient civilisations of Egypt, Greece, Turkey and Italy. The trip was planned for Spring 2011— which ended up being in the middle of the Arab Spring. After some debate, we decided to still go. My husband was excited and kept saying it was the best time to go because the country would be empty. I was much more apprehensive. We arrived in Cairo in the middle of the night and went to our hotel on Tahrir Square where the dramatic and sometimes violent demonstrations had occurred over the very recent, eighteen-day revolt. Mubarek’s assets had just been frozen and there were people everywhere jumping up and down in celebration. In my jet lagged stupor, I kept thinking that the line between celebration and uproar is possibly too fine. Rob was right though. It felt like we had the entire country to ourselves. On our boat down the Nile, everyone else had cancelled and so it was just the 4 of us. The pyramids were empty. And while it was an amazing adventure, I didn’t ever fully relax until our plane touched down in Athens. Facing all my fears on this trip was very difficult but rewarding. 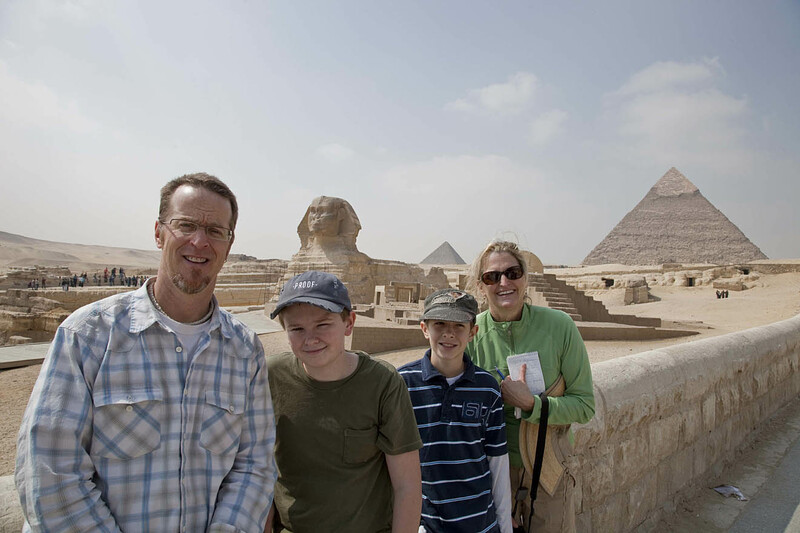 Above: Jeannie and her family visiting the pyramids. FF: So the boys went back to school after this trip right? JR: Ah, not just yet — they still wanted to keep going and the following year, we went to China and Japan and prepared by studying Chinese and Japanese history. After this trip, we settled back in Austin for their high school years and the boys went back into mainstream schools for their 10th and 8th grades. 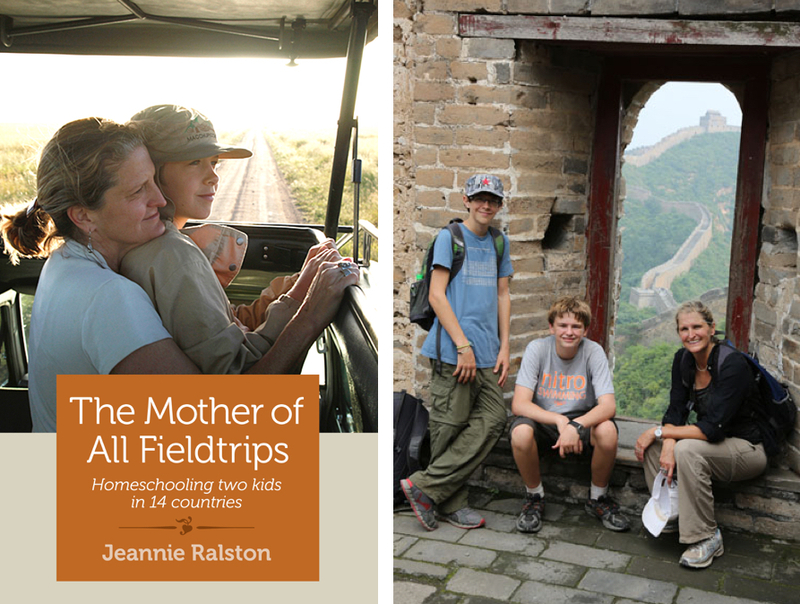 Above L: The Mother of All Fieldtrips, Jeannie’s eBook about the three years she and her husband homeschooled and traveled with their sons. Above R: Jeannie and Jeb and Gus on the Great Wall of China. FF: From your adventures, you wrote two books, The Unlikely Lavender Queen and The Mother of All Fieldtrips. What did these adventures teach you? JR: From our years of travel, I learned to face my fears as a nervous mother — talk about pushing myself outside my comfort zone. I had such irrational and powerful terrors about something happening to my kids that I often couldn’t sleep at night. When you are in a situation where there is so much you can’t control, you just have to develop some kind of trust in yourself, the universe or God. I also discovered that there was nothing better than learning along with your children. Each time we embarked on a subject, we were all basically learning together. There are times when you don’t have to know everything. Sharing that learning process with the kids is an incredible bonding experience. The lavender farm taught me to “bloom where you are planted.” I had never heard that expression before but it describes exactly what I did. I have learned that even when there are things you can’t change, you can always change your attitude. I found myself in this small town not happy about being there because I wanted to be in Austin or some other urban centre. This viewpoint kept me from seeing the charms of where I was. Blanco hadn’t changed —I had. Above L: Jeannie wears her NextTribe tattoo proudly. Above R: Jeannie at the finish line of her first triathlon at the age of 54. FF: NextTribe.com only just launched at the beginning of 2017. What was your impetus for taking this leap? JR: I felt very much at sea when my youngest son left for university in September 2016. I was looking to see what was out there for people who were going through what I was going through and I just didn’t find much that spoke to me. I feel that so many media sources treat women of a certain age to be goofy or fragile and I wasn’t attracted to either. When I am looking for stock photos for the site, I am constantly reminded of this negative images that are used to depict middle-aged women. It bugs me to be treated like that. My friends and I — we don’t feel any different. The way we talk to each other, the things we talk about. It’s the same things that we have always talked about — even more so — only now we’re wiser and more irreverent because we have life experience. We’re certainly not more fragile. And I’d like to think we have more of a sense of humour. My mother has always said, “if you grow old without a sense of humour, there’s no hope for you.” In one of our editorial team, brain-storming meetings, we said we wanted to be able to share our swinging moods and sagging parts. We make fun of how our bodies are changing, we laugh, we’re resilient, we’ve made it this far. Above L: A flyer designed to advertise the premise of NextTribe.com. Above R: A NextTriber displaying her t-shirt at the launch party of the site in Austin. FF: Please tell us how you came up with the name “Next Tribe”? JR: Well, my partner, Lori Seekatz, and I love the word “tribe.” It connotes all the feelings we want to create with our site—the feeling that we’re not alone in this ageing thing, that we’re understood. And we felt the word “next” summed up what I felt after my boys left for college. What’s next? Where will I go with my life now? It’s a hopeful word. It means life isn’t over just because you’re over 45 or your kids have flown the nest. You’re just going into a next phase, which can and should be exciting. FF: Please tell us about some of the fun things you have planned for your “tribe” members.JR: Lori and I don’t want NextTribe.com to live just on the screen. We’re hoping to plan events that bring us together in the flesh. We recently hosted a happy hour in Austin for subscribers and we’re hoping to duplicate that in other cities. We want women who are smart and funny to get to know each other and build something together out of all the wisdom and experience they’ve accumulated. And we have a trip planned to San Miguel de Allende over the magnificent Day of the Dead celebration. If that goes well, we want to offer more trips. We aim to fill these trips with like-minded people. That should make it easier to take the leap and we hope make the journey more memorable and exciting. 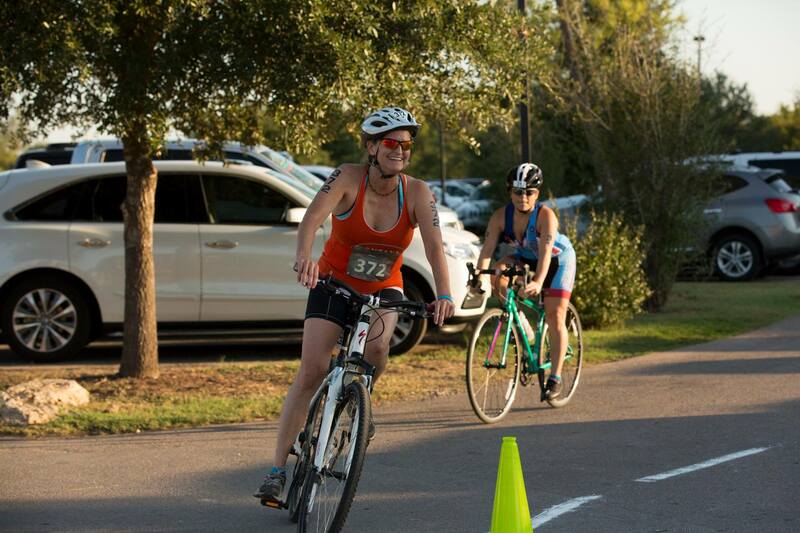 Above: Jeannie’s finishing the bike portion of the Spa Girl Triathlon. 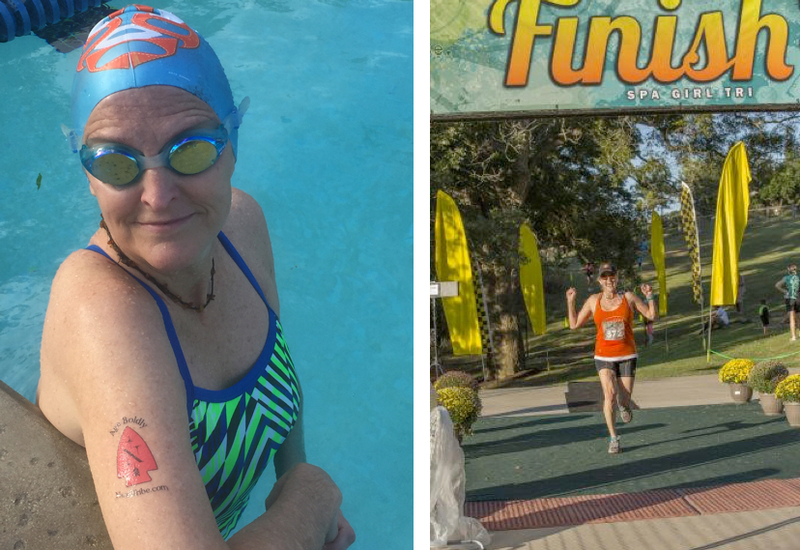 Read about her triathlon triumph in The Midlife Rookie: A Triathlon Anyone Can Do. JR: I exercise more now than I ever have in my life. Exercise time is useful for sorting out all the things crammed in my head. I swim 3 times a week (2 of those times are with a master swim class), take a yoga class in which we use weights twice a week, and if the weather cooperates, I bike about 25 miles on Wednesdays. I don’t eat beef, chicken, pork, lamb. But I will eat fish. Mainly because I want to have something to order in restaurants. I have a green smoothie every morning and try to limit carbs. My diet and working out have enabled me to lower my cholesterol, which was high due to heredity. I feel very strong now, and want to keep it up. Above: Jeannie and Rob on their wedding day in 1992 with a life of adventures ahead of them. JR: Patience. I get very impatient, and I would tell myself not to spend so much time obsessing about where I want to be, like in my career for instance. I would say, just keep your down down, concentrate on what you’re doing, make it good and before you know it you will see that you’ve up a body of work that you can be proud of. 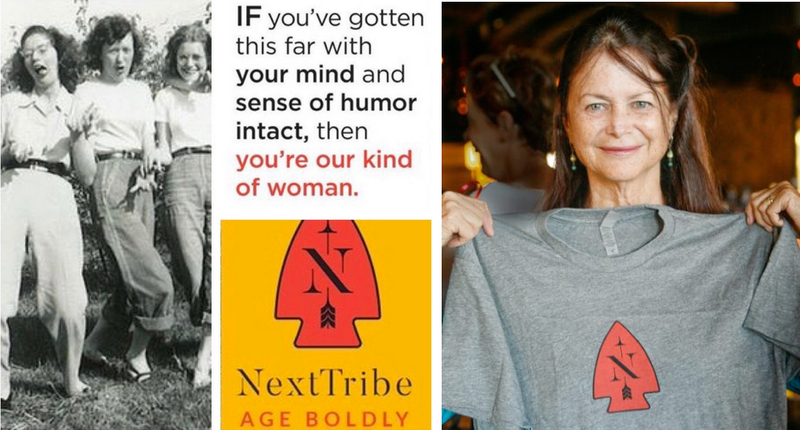 Above: NextTribe warrior, Jeannie Ralston. Artwork by Christine Chang Hanway. A Fabulous Fabster thank you to Jeannie Ralston! Jeannie..,you are such an inspiration. I am so happy you have launched this magazine. I have enjoyed and laughed so much with every article already and look forward to hopefully taking a trip with the tribe. So beautiful! Jeannie, you are, indeed, an inspiration! Love being part of the Tribe!